Hello! Got another box braid look I want to share with you all! These lovely braids took about 6 hours to complete! I used 3 packs of X-pression kanekalon hair cut into 3 sections to complete this look. 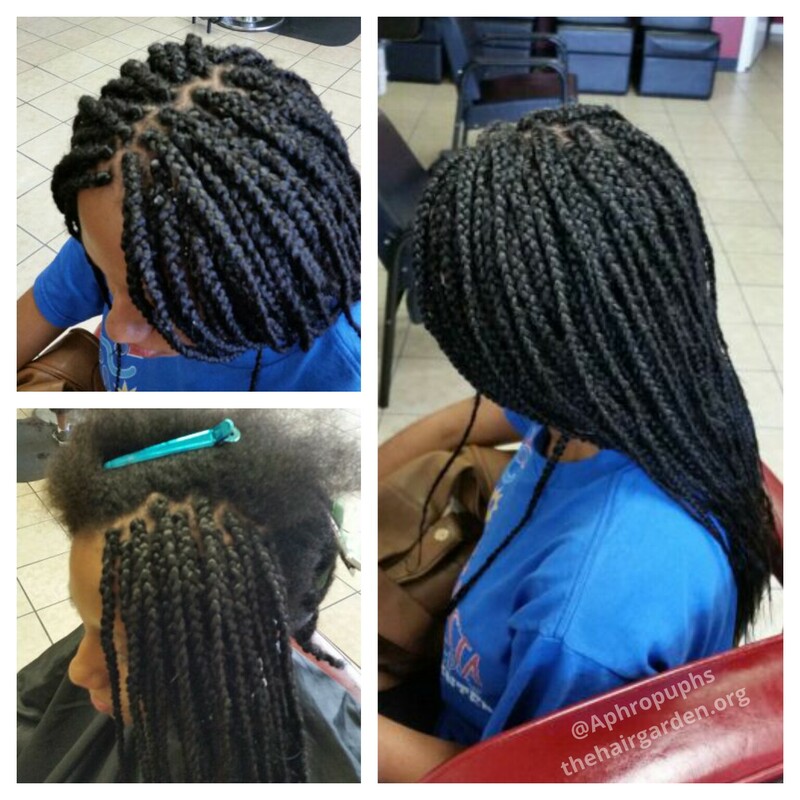 These braids can be shampooed and followed with a light conditioner and oil applied to the scalp and braids. They can be worn for 6 weeks. Hello, lovelies! Box braids are a timeless look! A client stopped by The Hair Garden to get some and I wanted to share the results with you! This look took about 9 hours to complete. It can be shampooed and conditioned and will last her about 6-8+ weeks depending on her styling preferences and maintenance. Want some lovely braids as well? E-mail me at hairgarden@live.com or book me at http://www.styleseat.com/melissaotoo! 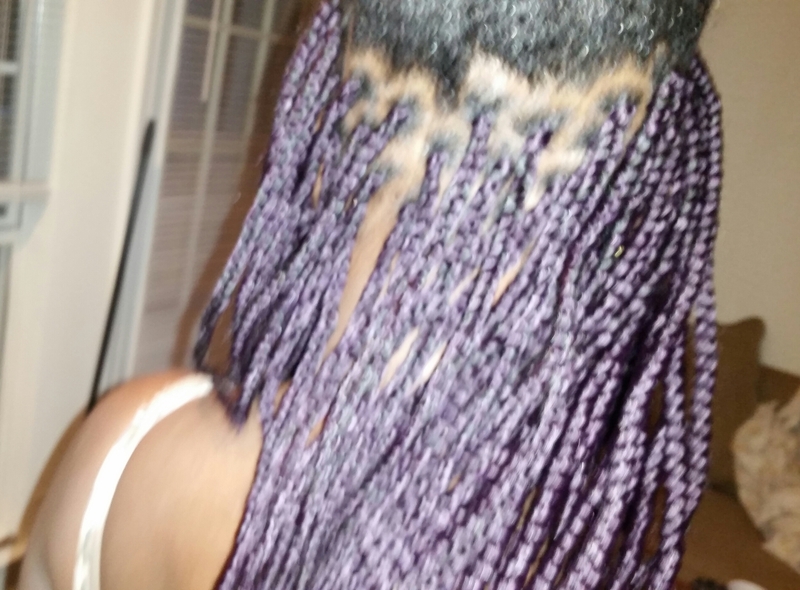 Author AphropuphsPosted on June 27, 2015 Categories Hair Care, Natural HairstylesTags box braids, individual braids, licensed natural hair stylist, licensed natural hair stylist conyers, natural hair, natural hair care, natural hair care conyers, natural hair salon conyers, natural hair stylist conyers14 Comments on Individual Braids for Summer! Greetings, Blossoms! 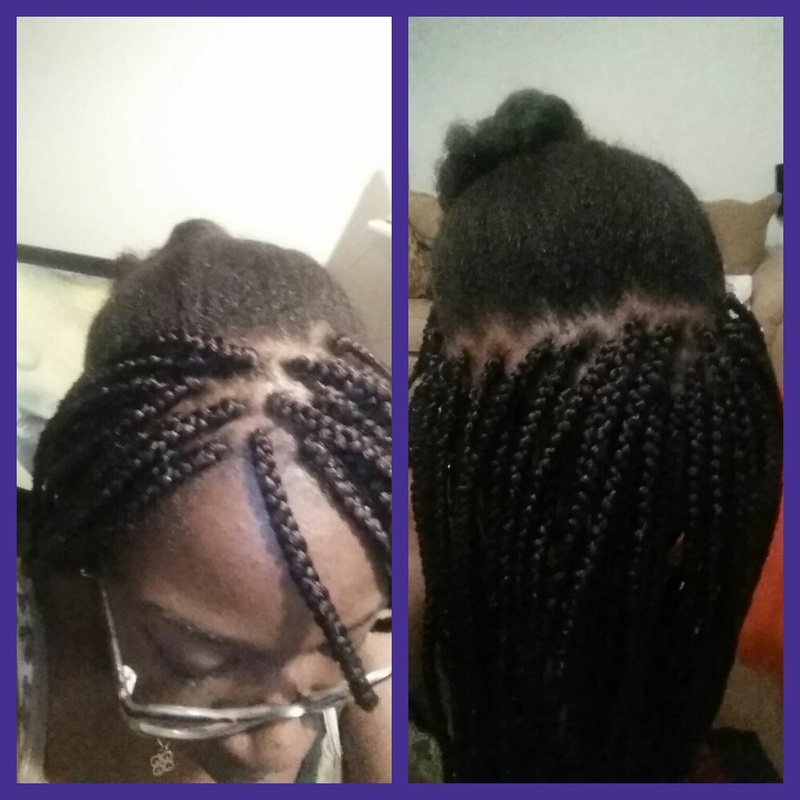 I want to share my latest protective style with you all! I have always been a fan of box braids of all sizes, lengths and colors! Around this time of year I always get the urge to treat myself to some nice braids. This season I chose medium-sized braids due to inspiration from my dear cousin! So let’s get started! 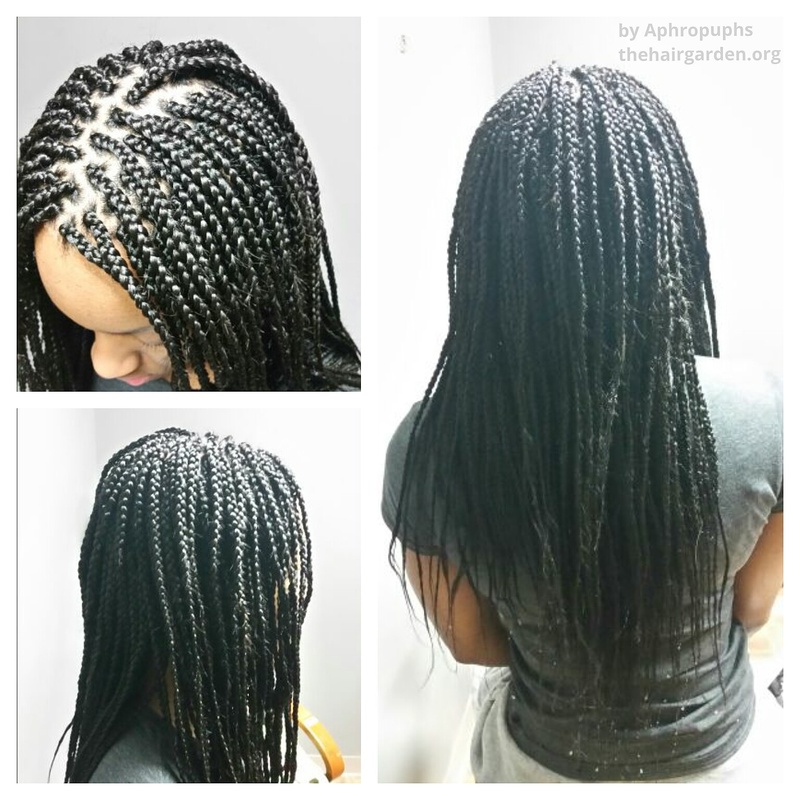 Although, doing my own box braids can be time-consuming and a little tiring, I know my hair is in well-trained and caring hands, I take pride in my work and it is cost-effective! I used my favorite type of kanekalon hair! The kind manufactured in Africa! I’ve purchased hair so far made in Senegal and Nigeria! I prefer this brand because of the quality of the hair. It has a: nice stretch, the texture is easy to work with, provides a beautiful finished look, does not bead when burned, and does not tangle. I highly recommend this hair to consumers and braiders. I first was able to find and purchase this hair with no problem when I was living in Savannah, GA. However, I now reside in Atlanta, GA and how amazing is it that I could no longer find this hair! I had a little bit left to carry around as a sample but none of the beauty supply stores seemed to even know what I was talking about! I ended up ordering it online. I didn’t get the exact brand I purchased before though. At first, I thought the X-pressions brand was exclusive to Outré but others seem to carry it as well. I am still doing my research on it. 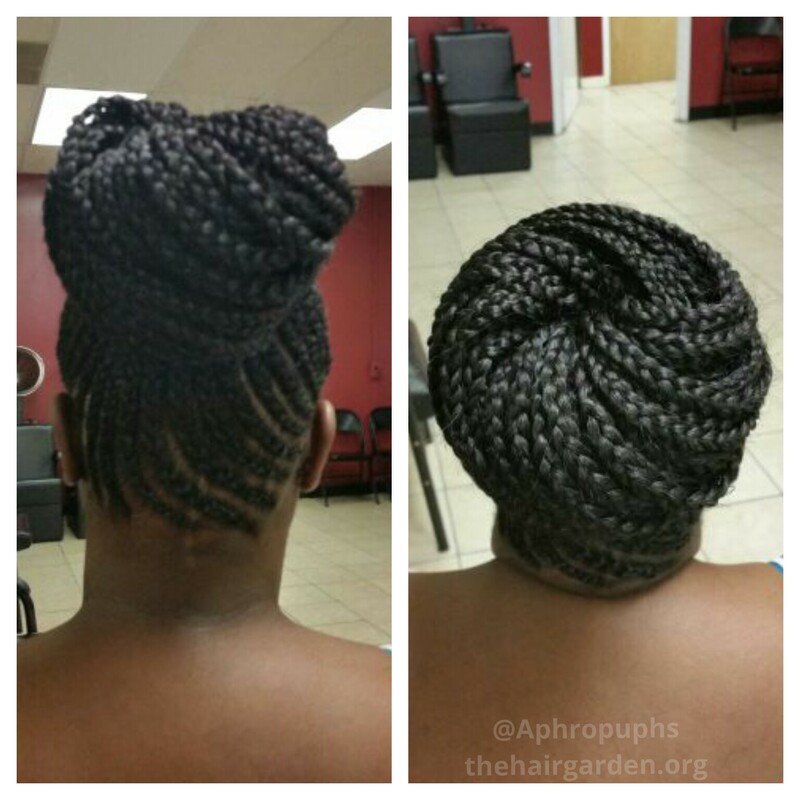 The braiding process took small sessions across the span of 4 days in all to complete. I have put strain on my hands over the years from binge braiding so I have learned a process that lets me take my time and makes it so much easier on my hands! Day 1 and 2, I spent about 3 hours each day completing the front and sides. At the end of day 1 I have enough braids to pull back and feign a bun if. The nape is exposed but with crafty pinning it can be well masked! Sorry for the blur, awkward angle! Day 4 I completed the crown and dipped the ends in boiling water to secure them. Burning the ends ruins my clothes and irritates my skin mercilessly. Due to the freshness of the braids and the new weight my follicles are carrying, I like to wear my braids in a bun to relieve some of the initial tension. I wear them down for about a day since that is the direction in which they were installed then I gently ease them up into a bun for about a week until I take them down to shampoo them. 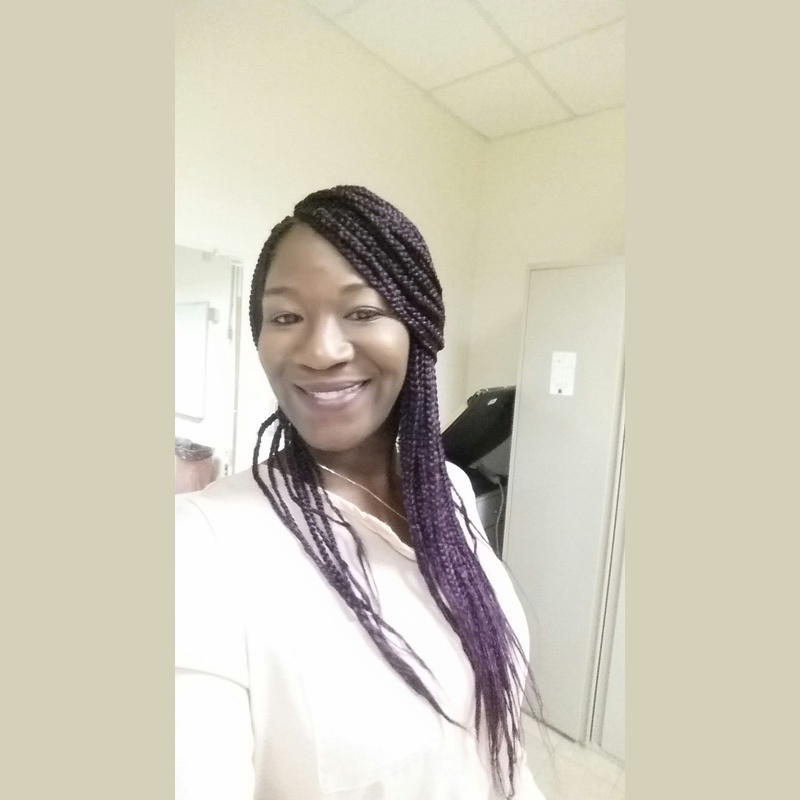 By then my scalp is not as tender and sensitive to the movement of the braids and I can wear them more freely! Once I pin my hair up, it last until I take it down with no problems. A young lady asked how I kept my bun in tact and it inspired me to do a video so that will be coming soon! Thanks for sharing my braid experience!